The basis of the crystallizer is a tubular furnace with five independent heating segments enabling a variety of axial time-varying temperature profiles. Processed samples are placed in sealed thin-walled stainless steel (Kanthal) ampoules which are moving from the first magazine through the furnace tube with a specified temperature field at a defined speed into the second magazine. Another mode allows the ampoules static position when the temperature field is changing according to the given program. Rotating magazines have a capacity of 19 ampoules. The crystallizer operates in an automatic mode, i.e. 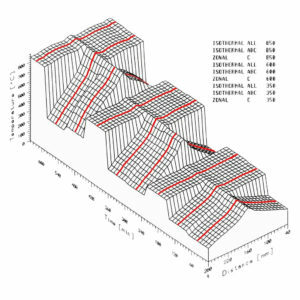 the formation of temperature fields and their changes in time, exchanging of samples, setting their positions in the temperature field, speed and direction of their movement. 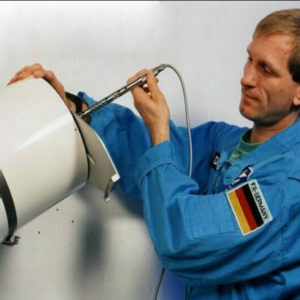 The device is intended for basic material research on the ground at G = 1 to 10 and under microgravity conditions , for example, to study processes of non-equilibrium directional solidification of (multi-component) melts and solutions of dielectrics, metals, semiconductors or dielectric glasses. Additional extension equipment: a high precision thermographic probes for differential thermal analysis (DTA), platform for passive vibrations damping (based on aerostatic bearings), and other auxiliary measuring equipment (specially developed for this purpose in the company “Cestmir Barta, BBT – Materials Processing“ (the predecessor of BBT Ltd.). 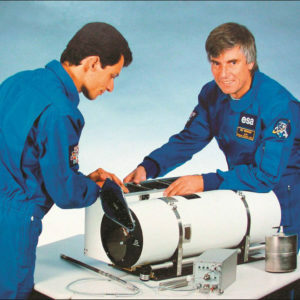 1984 – The crystallizer CSK-1 (predecessor of CSK-1C) was deployed on board the orbital station MIR in collaboration with the Institute of Space Research of the Academy of Sciences of USSR (IKI AN USSR) under the Interkosmos programme. 1991 – The CSK Programme in the Institute of Physics was cancelled but it was followed by the private Czech company “Cestmir Barta, BBT Materials Processing, Crystal Science & Technology Institute” (hereinafter as “BBT“). 1991 – Based on the original equipment CSK-1, BBT company developed two specialized apparatuses: CSK-1A (for MIR-type manned orbital stations) and CSK-1B (for Photon-type unmanned orbital stations). 1993 – The company BBT established the International Training Centre for Space Materials Experiments (International Users’ Support Center). 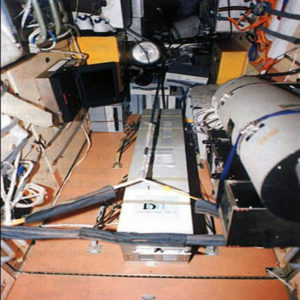 1995 – The company BBT developed a modern version of the CSK-1C crystallizer which was operational on board the orbital station MIR from 1995 until the termination of MIR in 2001 – along with the original equipment CSK-1, it was operational 17 years (!) on board and it was thus one of the longest -working equipment on board MlR at all.